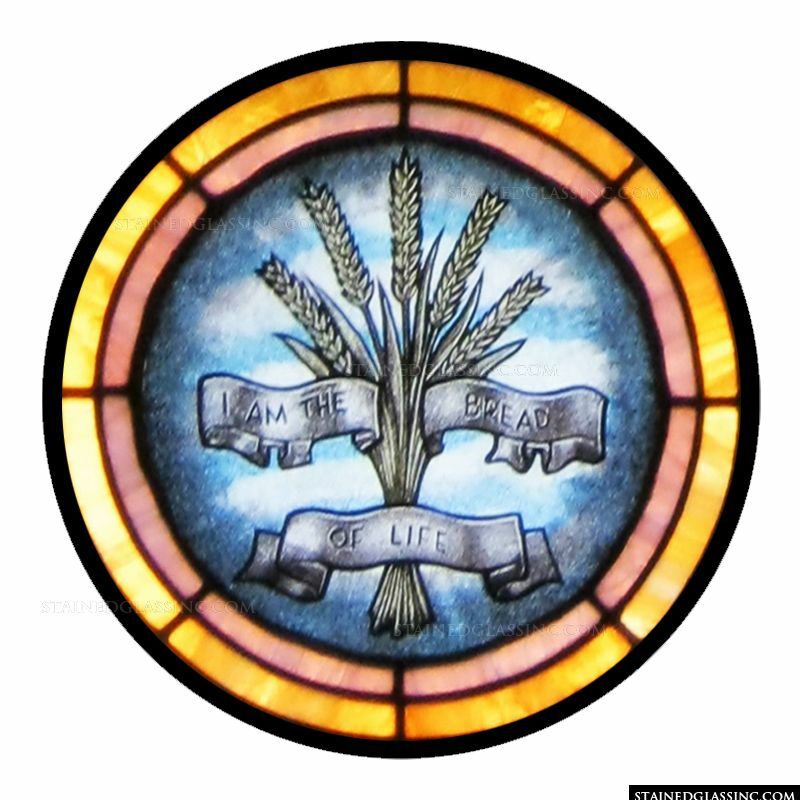 This circular design frames text that declares "I am the bread of life" over a glowing background that depicts a wheat harvest. 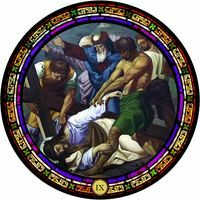 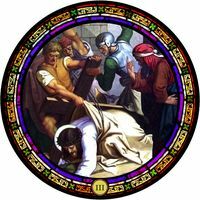 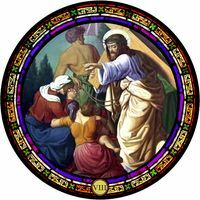 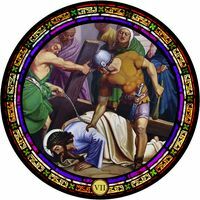 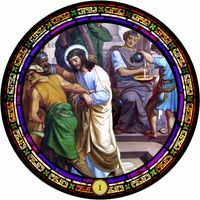 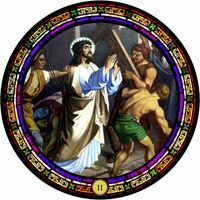 Display of this stained glass panel representing the Holy Communion is perfect to inspire and uplift worshipers in church, chapel or any area of reverence and prayer. 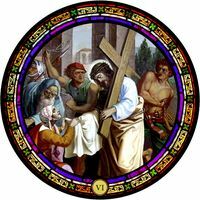 Framed in bands of warm gold and bronze shades, this extraordinary work of stained glass captures the imagination and touches the heart of all who are blessed to experience its beauty. 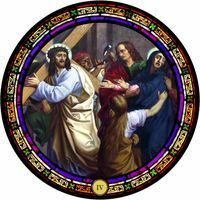 As part of an entryway, it welcomes guests with warmth and inspiration, and is a perfect enhancement for church, home or business. 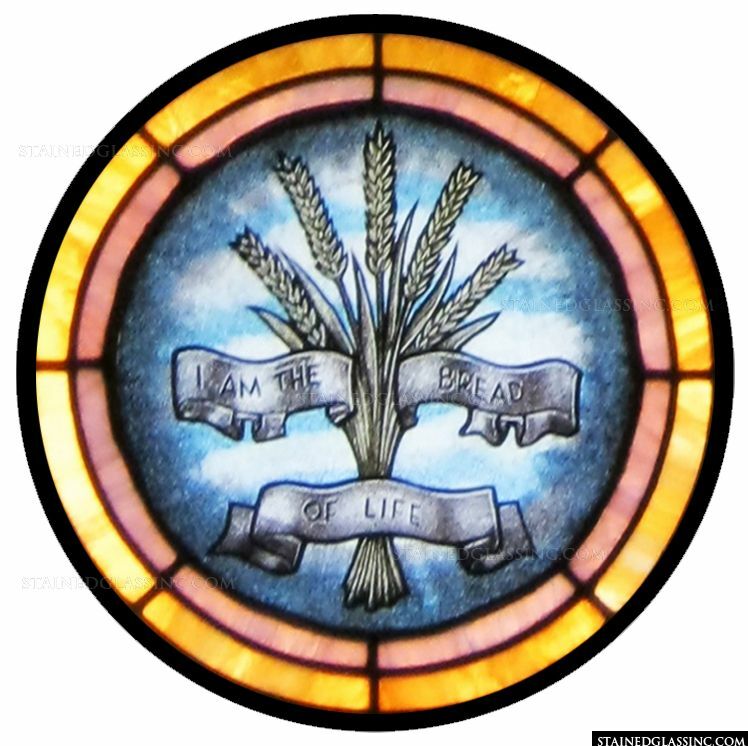 Imagine how beautiful and appropriate this lovely work of stained glass art would be placed in an upscale bakery business. 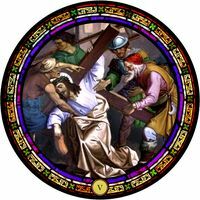 Reflecting dancing rays of light throughout the day, the possibilities are endless for this timeless stained glass design.